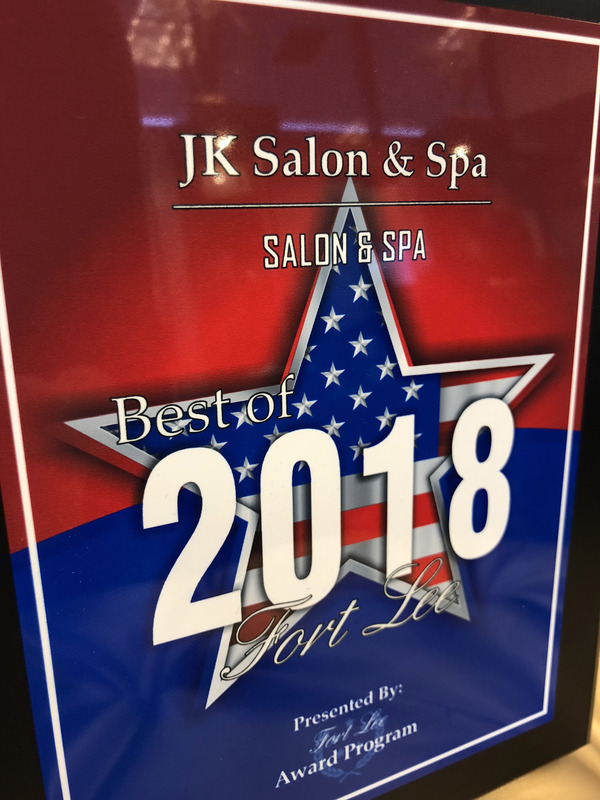 Voted FORT LEE's top Salon 2018. Call us at 201-482-8774 today. We are now working with CryoSkin! Call us to find out more about it! JK Salon & Spa features a full-service luxury experience located the heart of Fort Lee, NJ and 10 minutes from New York City. Our exceptional staff is highly trained to provide services for all hair types, creating fresh looks by integrating traditional treatments and innovative techniques. JK Salon specializes in the latest technology of Hair Extensions, Keratin Treatments, Balayage coloring and precision cutting. Our JK Spa Team will leave you feeling pampered, relaxed and beautiful with our wide variety of services including facials, microdermabrasion, waxing and custom massages. We proudly provide services using only the best and safest products in the world such as Oribe, Redken, and Dermalogica. Call us to schedule your JK Salon & Spa experience today! "I'm in love with everything about JK Salon and Spa! It's such a welcoming, fun, and relaxing environment." "The stylists at JK Salon and Spa are simply the best. I've been a client for 10 years and will never go anywhere else."